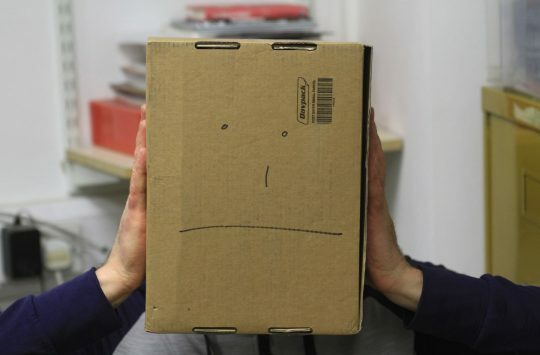 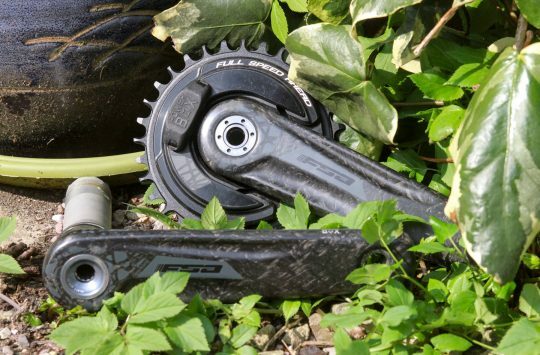 DT Swiss has been quietly beavering away on some new products in the last year or two. 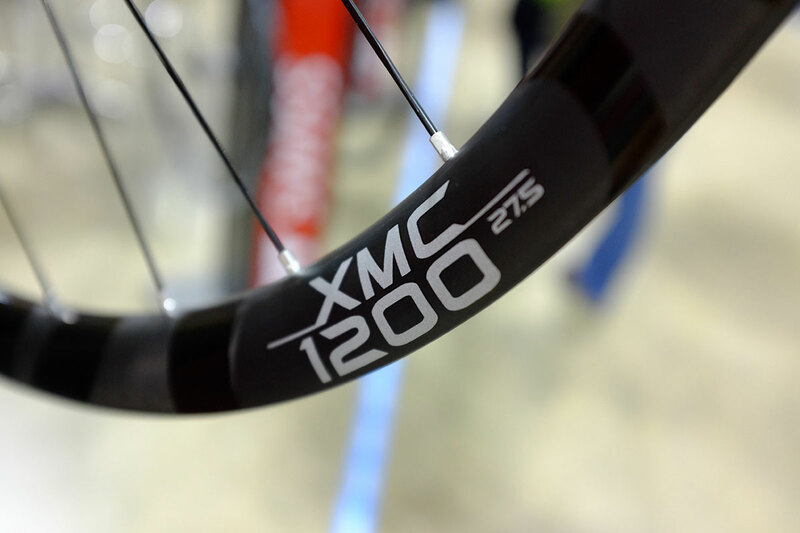 We’ve started to see new fat and plus bike rims and wheels appearing, but there’s been plenty more going on. 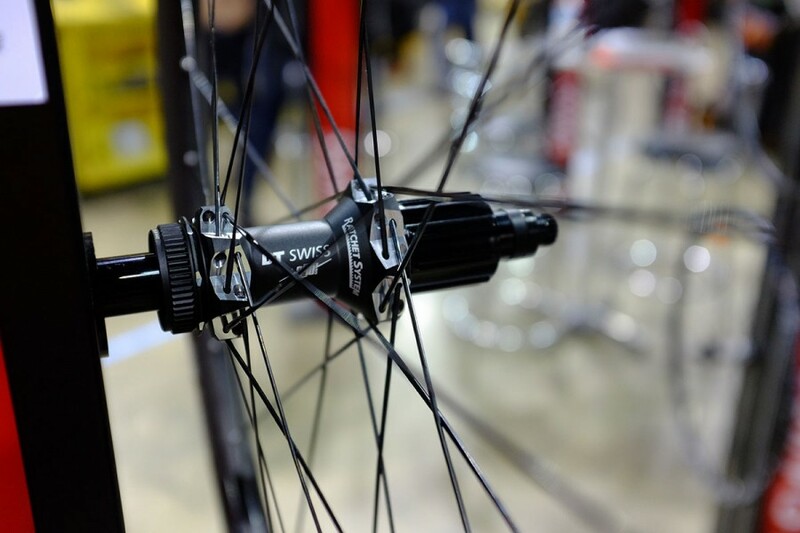 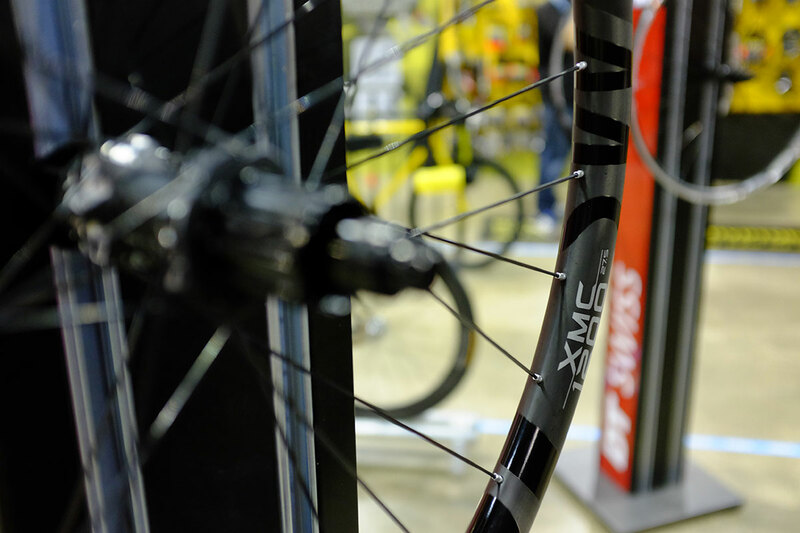 At the more affordable end, there are wheels like the Spline 2 1700 wheelsets. 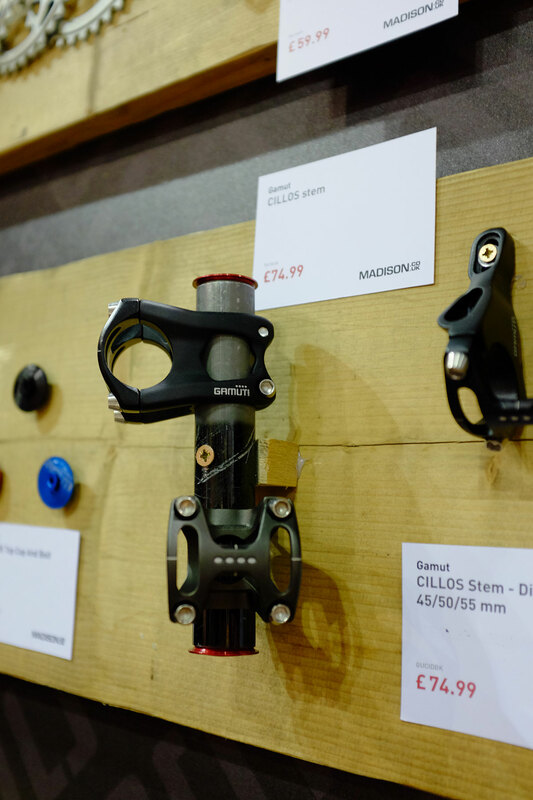 These come in a 22.5mm or 25mm internal width and they sneak in at under £500 a pair. 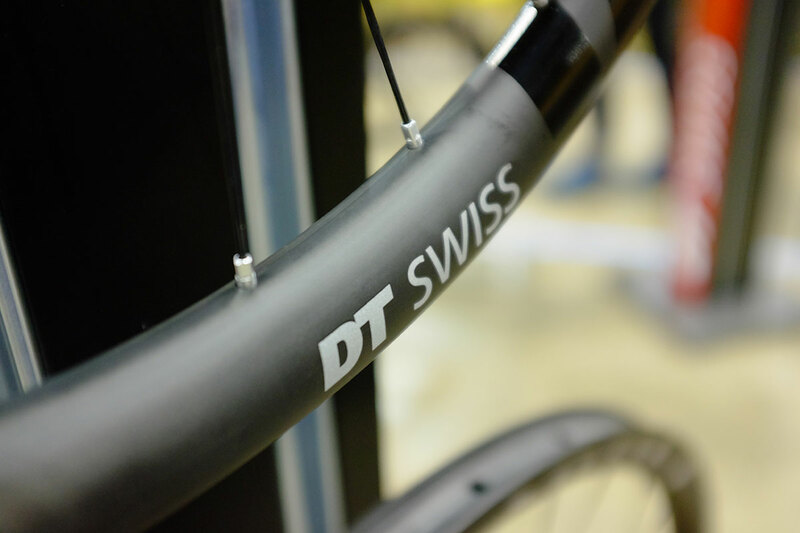 DT Swiss hasn’t made too much of a fuss about its forks in the UK for a while, but when your forks are ridden to victory in the World Champs, perhaps you don’t need to. But DT is keen to point out that it doesn’t just make carbon steerer 100mm race forks – and it makes some 130 and 150mm forks too. 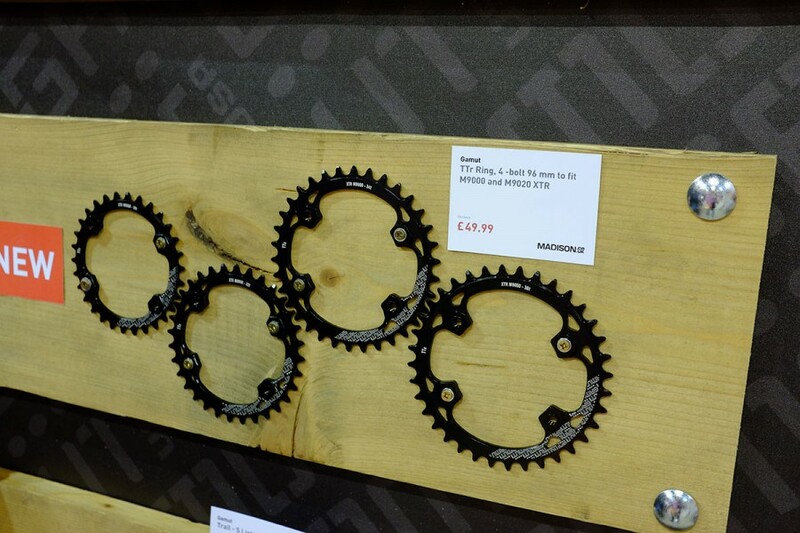 And given that the top of the range, full carbon crown/steerer model is a ‘mere’ £850, it bodes well for the more affordable end of the line. 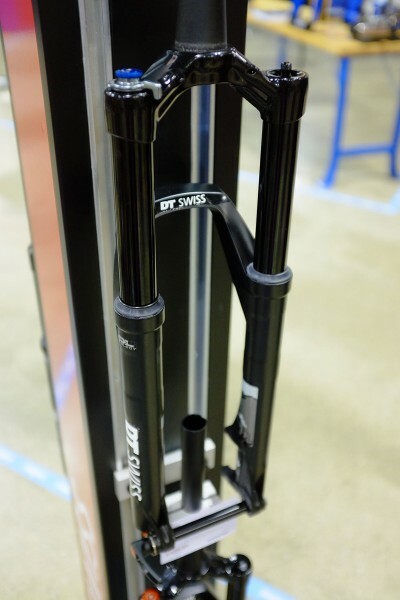 We look forward to giving these newly rejuvenated forks a whirl soon. 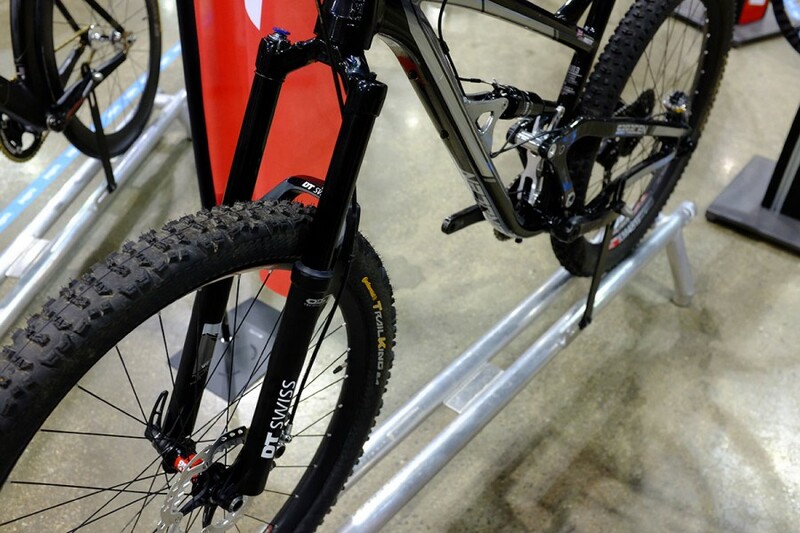 Here’s a 150mm fork on a Saracen Ariel. 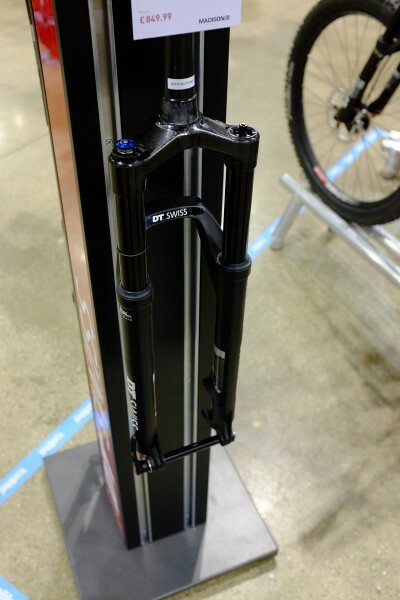 Despite 32mm stanchions, DT’s rep reckoned they were good Enduro race forks. 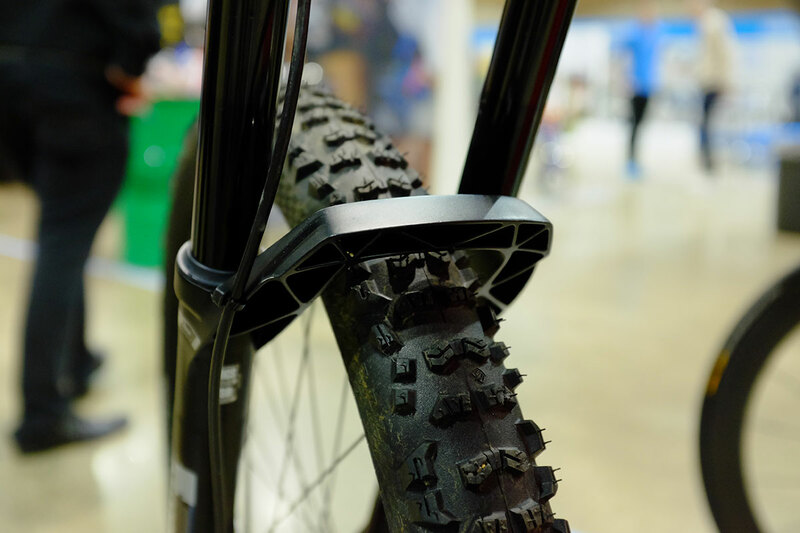 DT’s signature rear brace has now been left hollow for weight saving. 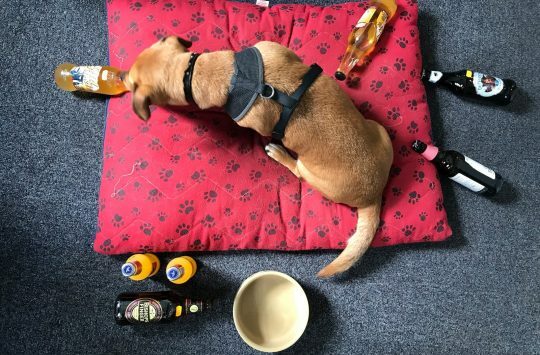 Man’s Best Friend, Biker’s Worst Enemy?